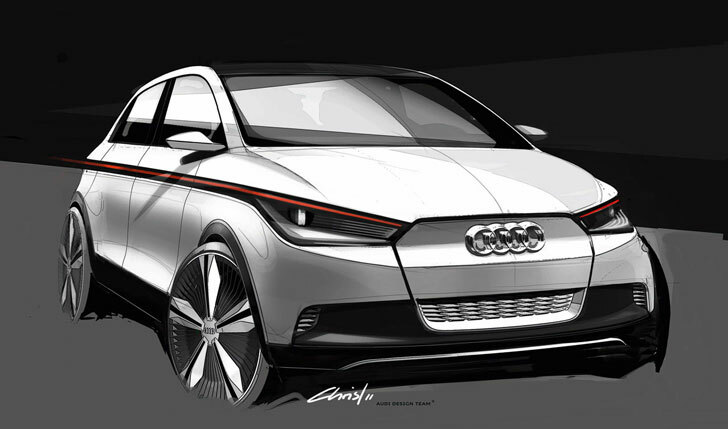 First the BMW i8 concept, and now the electric Audi A2 concept car are expected to electrify the Frankfurt Motor Show with laser headlights and tail lights. These tiny and efficient light sources make up the glowering slit-shaped concept car headlights, and they’re efficient and green to boot. BMW credited their decision to load the i8 shark with laser beams with the little lights’ increased efficiency and reduced size, and the Tron-inspired laser-toting electric cars might just help them take over the world. Audi’s A2 concept is all about light – in addition to the laser tail lights the vehicle features a dark glass roof that becomes transparent at the touch of a button and a light bar down the side of the car that illustrates braking and turn signals in an animated manner. Audi says its laser beam tail lights, known as “matrix beams” are the next phase in LED technology – but what about the safety issues associated with looking into these lasers in traffic? Audi says not to worry. The lasers used in the A2’s tail lights will be configured with microreflectors to not face directly toward the road, which will make these lights more powerful and efficient than LEDs but also easy on the eyes. We’re not sure how cost-effective these headlamps will be for the near future, but we tend to agree with Audi and BMW that lasers are the next logical step following LEDs for automotive lighting. What do you think of these super-efficient tail lights? Let us know in comments, right after you take another moment to drool over the photos in our gallery. 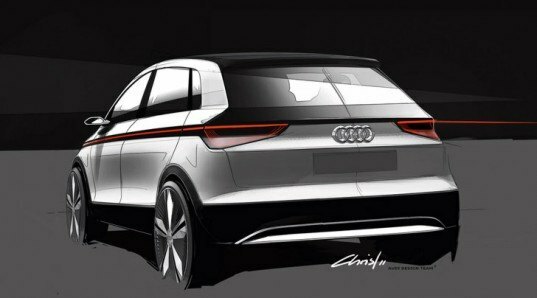 First the BMW i8 concept, and now the electric Audi A2 concept car are expected to electrify the Frankfurt Motor Show with laser headlights and tail lights. These tiny and efficient light sources make up the glowering slit-shaped concept car headlights, and they're efficient and green to boot. BMW credited their decision to load the i8 shark with laser beams with the little lights' increased efficiency and reduced size, and the Tron-inspired laser-toting electric cars might just help them take over the world. Audi's A2 concept is all about light - in addition to the laser tail lights the vehicle features a dark glass roof that becomes transparent at the touch of a button and a light bar down the side of the car that illustrates braking and turn signals in an animated manner. Audi says its laser beam tail lights, known as "matrix beams" are the next phase in LED technology - but what about the safety issues associated with looking into these lasers in traffic?